Although the essential and most important element, the shield is but one part of a coat arms. A full Achievement of Arms can (but not always will) consist of supporters, mantling, a compartment, a motto, a helmet, a wreath, a crest, a badge, a banner, a flag – and more. 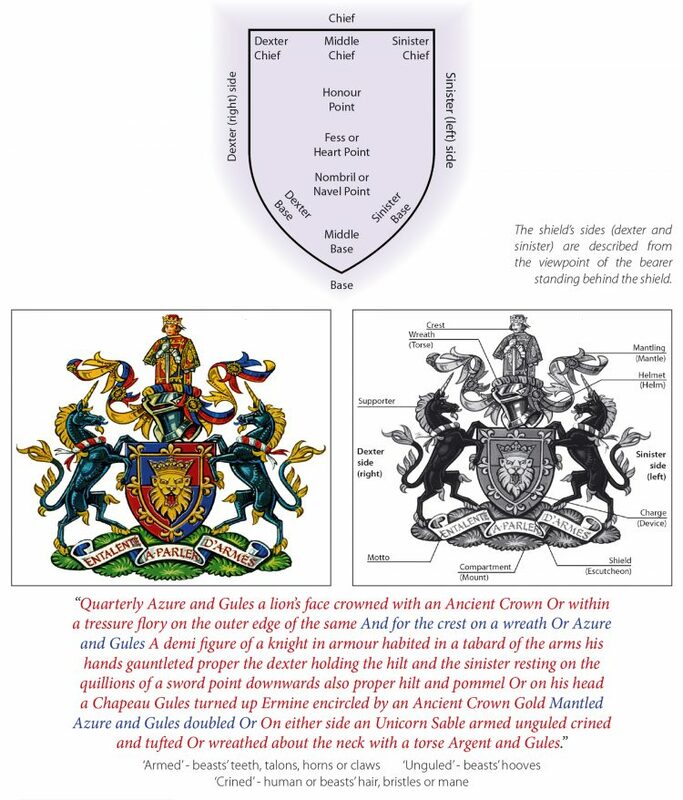 Designed and painted on velum by the College of Arms, it can be reproduced in all manner of materials and today the art and craft of heraldry is still a thriving discipline in its own right. The blazon – the written description of the arms – can use a combination of English, Norman French and Latin, often with poor punctuation and abbreviations. The description begins at top left, proceeds to the right and then, moving downwards, passes from left to right. Originally the passport or DNA record of its time, there was no room for ambiguity, since it was used not only to pinpoint identity but also for faithful reproduction. 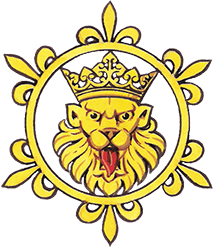 Over the centuries its precision has benefited both historical research and artists and craftsmen demonstrating their skills in accurately reproducing the arms it described.